자전거 펌프의 아이콘이 돌아왔다. 바로 Silca Pista Floor Pump! 자전거 역사상 가장 성공적이며 상징적인 자전거 장비중 하나로 인정받는 Pista Floor Pump가 새로운 기술으로 새롭게 태어났다. 1950년대말 Fausto Coppi의 미케닉들의 요청으로 이태리 Silca는 각각의 스타일의 펌프의 최고의 장점들을 하나의 펌프에 넣고자 새로운 펌프 디자인을 시작한다. 드디어 1962년 발매되었을 때 Silca Pista Floor Pump는 고급스러우면서도 세월의 흐름과 상관없는 디자인으로 태어났고 트랙 펌프라는 새로운 영역을 만들어냈다. (Pista는 이태리어로 'track'을 의미한다). 미국 Indianapolis로 이전한 Silca team은 original Pista Pump의 미적인 요소와 형태를 최대한 유지하면서 기능과 내구성을 향상하기 위해서 정밀한 현대적이면서 클래식한 소재들을 검토하면서 많은 연구 개발 시간을 보냈다. 그 결과 Silca Pista Floor Pump는 다시 한번 track pump의 새로운 기준을 세웠다. 트래블 케이스를 선택할 수 있으며 평평하고 작은 사이즈로 어디든 손쉽게 휴대할 수 있는 디자인이다. An icon returns! Silca Pista Floor Pump! It is considered to be one of the most successful and iconic bicycle tools in history. Pista Floor Pump becomes the latest edition to the line-up of the re-engineered Silca brand. At the request of Fausto Coppi's mechanics in the late 1950's, the team at Silca set out to design a pump that would take the best attributes of each style of pump and combine them into one. 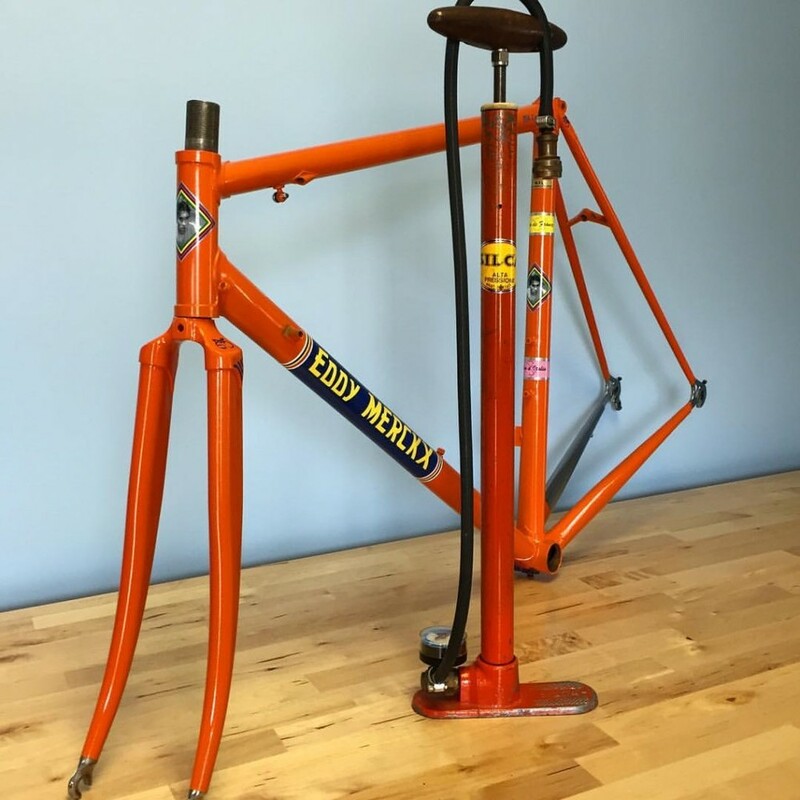 The result, launched in 1962, was a design so elegant and timeless that it defined the entire category of 'Track Pumps' (Pista is Italian for 'track' after all). The Indianapolis, IN based Silca team went through great lengths to preserve the aethetics and the form of the original Pista while improving functionality and durability through the use of finest modern and classic materials paired with modern engineering and assembly. As a result, the Pista once again sets the standard in the track pump category. Available with a travel case or without, this pump's flat profile and smaller size mean the Pista was built as the pump to be taken anywhere.